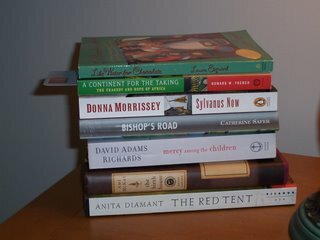 ffmyheels: my summer reading list. I am trying to read some of the books my book club here in N.S.,"The Greek Muses" have read over the last year, along with some other books. I am more than half way thru " A Continent for the Taking" and I have finished "Like Water for Chocolate."